"Mysterious Anomaly" redirects here. For previous Birthday locations see MouseHunt Birthday. The Mysterious Anomaly closed on 27 March, leaving the Vacant Lot behind. 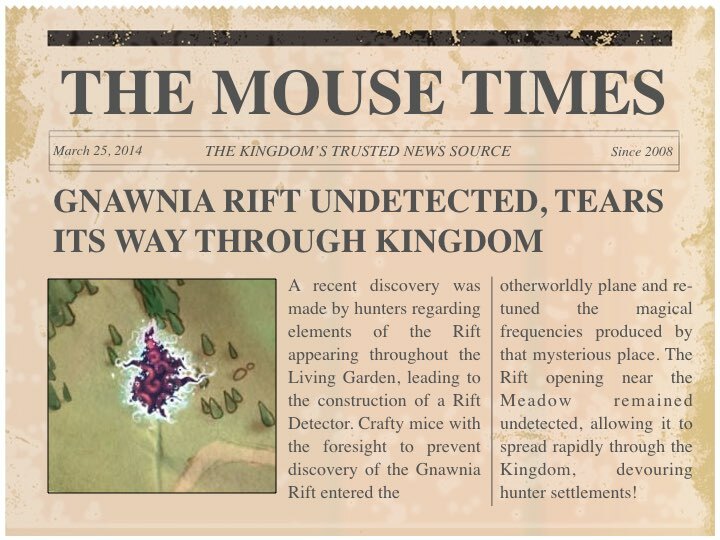 Hunters could continue to make purchases at the Mysterious Anomaly Shoppes with the magical sewing supplies, except for the Cartographer which have ceased to sell event map scrolls. 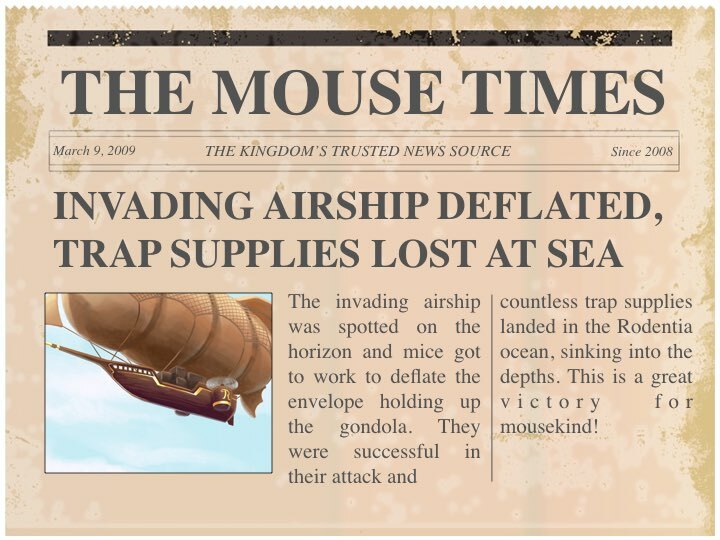 The Mysterious Anomaly is the special event location for MouseHunt's Tenth Birthday, requiring a minimum rank of Recruit to enter. 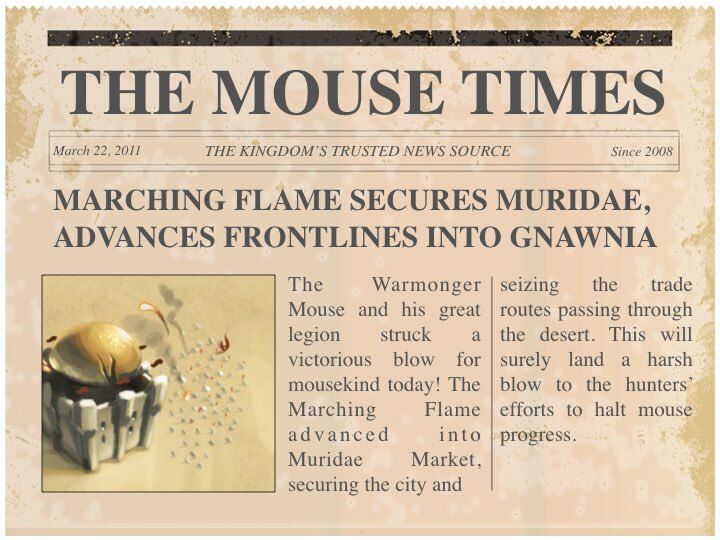 Mice are unable to steal gold or points, but may steal multiple pieces of cheese if not caught. 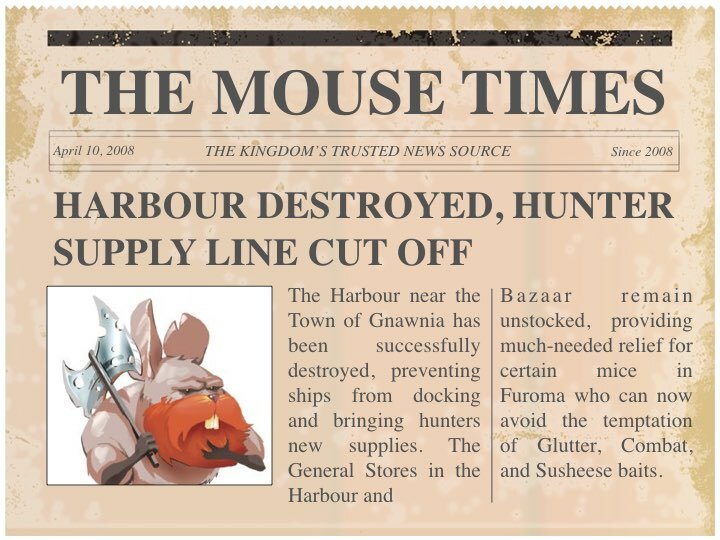 Hunters are tasked to gather magical sewing supplies and repair the Quilt of Time so that it reaches across the many years of MouseHunt, in order to chase down the Time Thief Mouse and restore the timeline! The HUD shows the Quilt of Time, where various years can be accessed after being repaired. Repair costs for the following year are displayed on the left side of the HUD. Upon repairing a year, it appears on the main HUD. 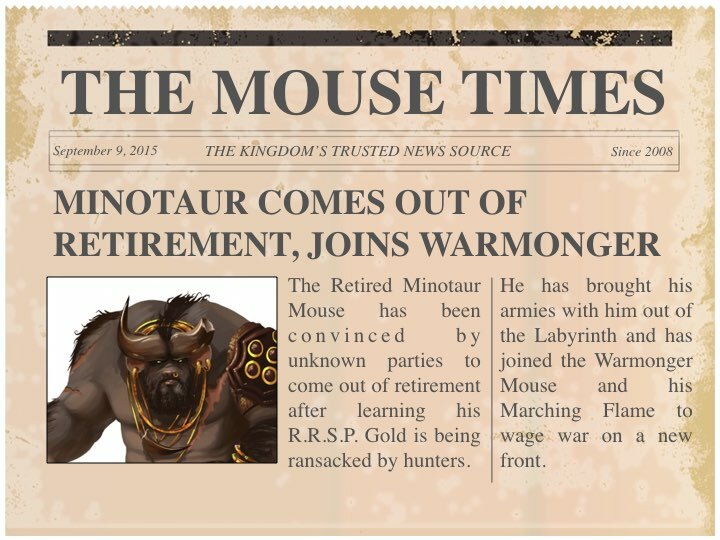 Upon mousing over it, hunters can either travel to that year or view more info about it. The loot available from each year is also indicated. 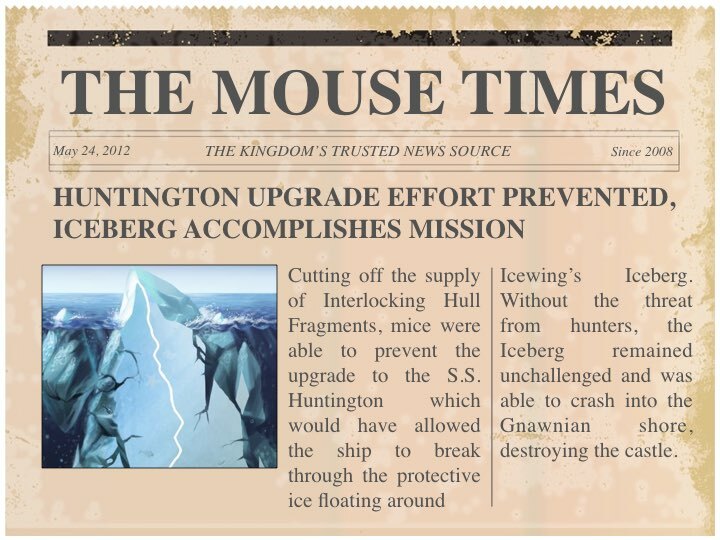 Upon clicking "More Info", the HUD has a pop up showing which mice can be attracted in that year and with what cheese. 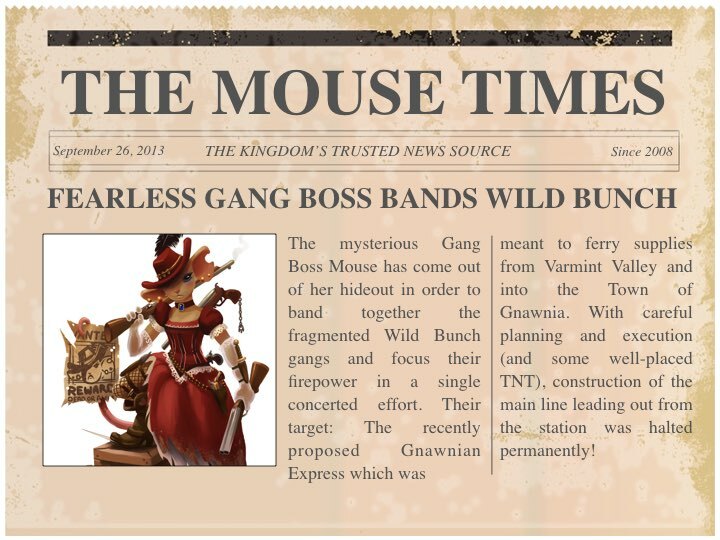 Additionally, there is a "The Mouse Times" news article corresponding to an alternate event that has taken place. The table below shows the repair cost for each hunting year and its respective sewing supplies loot available. 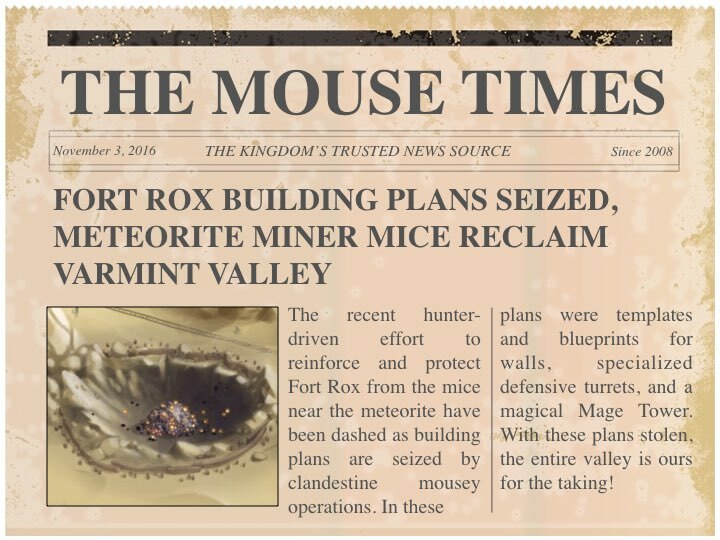 These are the mice that may be encountered in the Mysterious Anomaly. Reality Restitch Charm is used to attract the Reality Restitch Mouse. Standard Cheese and SUPER|brie+ will attract mice that drop Rewind Raclette. Rewind Raclette will attract mice that drop magical sewing supplies. 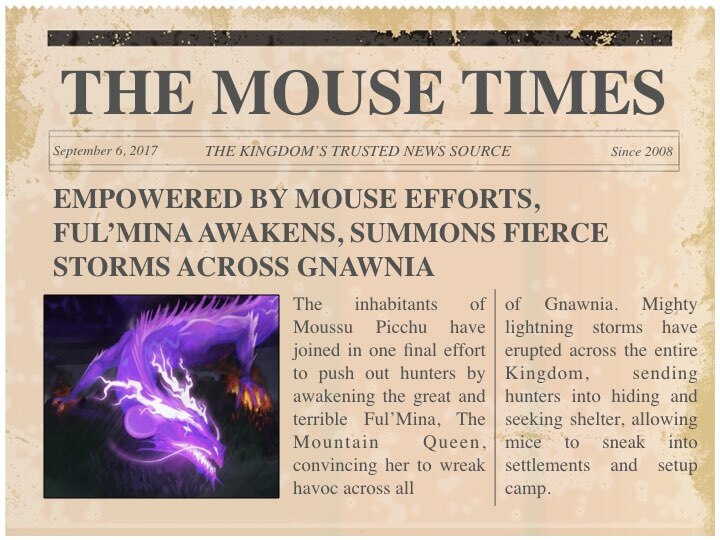 Hunters can complete the Event Adventure: Restore Gnawnia's 10-Year Timeline. 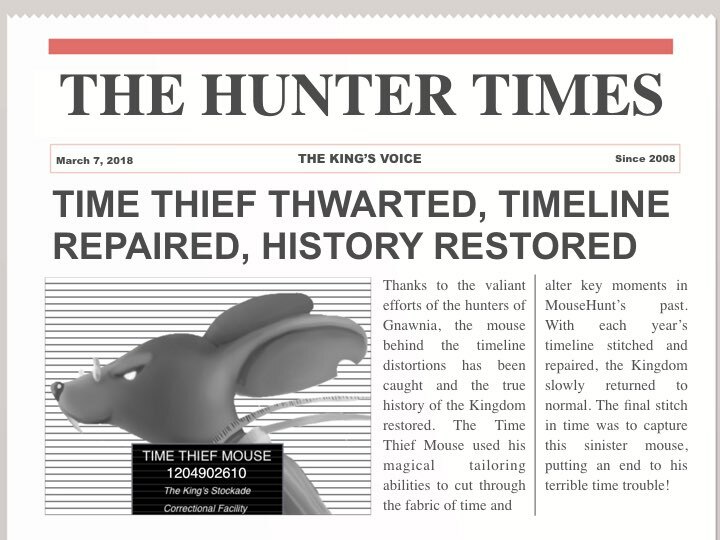 The Time Thief Mouse has gone back in time and disrupted historical events over the last 10 years! 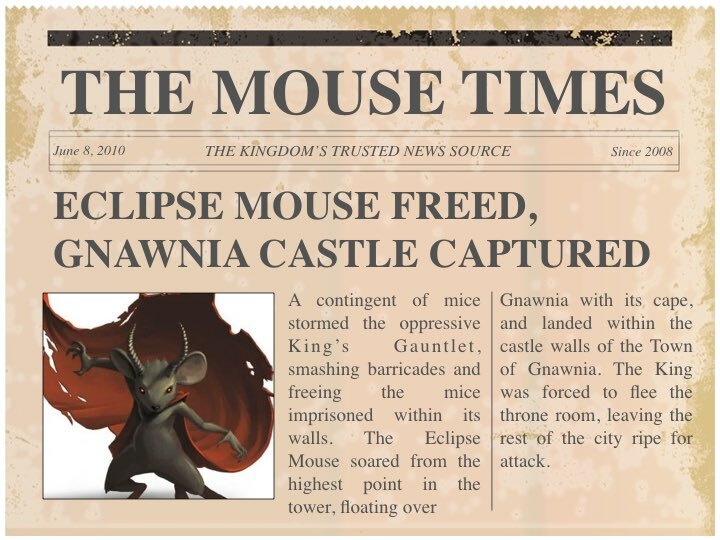 Repair the Quilt of Time, stitching your way through the years, and track down the Time Thief Mouse to end his influence on MouseHunt's history! These are the shoppes found in the Mysterious Anomaly. This page was last edited on 5 April 2018, at 04:16.